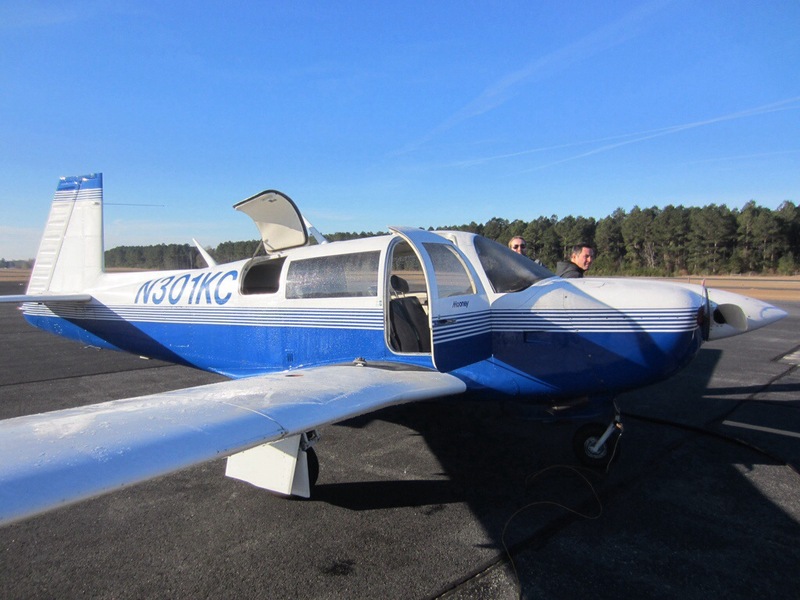 The last in a series of posts describing my trip to bring a Mooney to South Carolina for a pre-buy inspection. See the previous installment here. Last time, my Dad completed the pre-buy inspection in South Carolina, and we made the decision to stay overnight in Raleigh, North Carolina. We landed that evening at KRDU. The next morning I woke up before dawn, and instinctively checked the weather on my phone. A strong cold front was racing across western Pennsylvania, with a dramatic shift in wind direction and an increase in wind speed to 30+ knots. The terminal area forecasts for New Jersey put the frontal passage at around noon, and I knew we would be racing it on our way back. We needed to leave…now. My Aunt and Uncle, who had graciously let me stay at their beautiful home on very short notice, dropped me off at the airport. 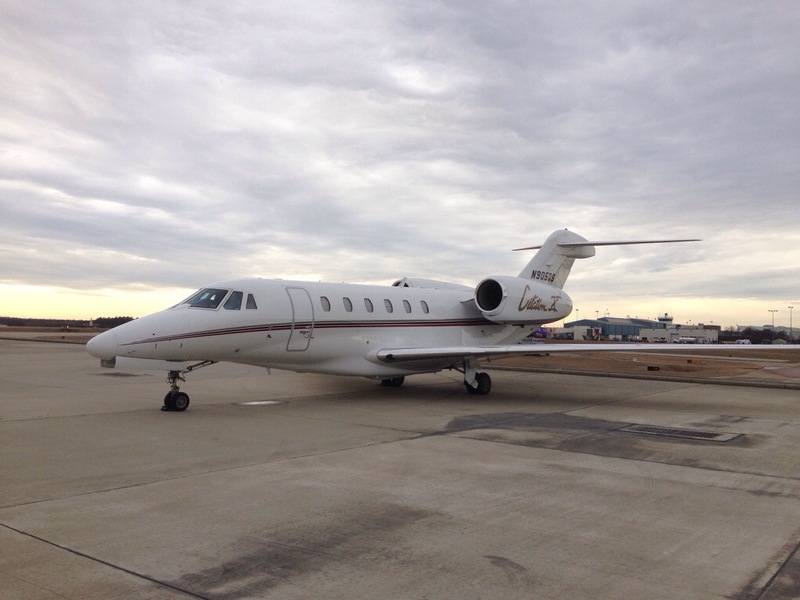 The Cessna Citation X would have gotten us back a bit faster, but might have burned a bit more fuel. 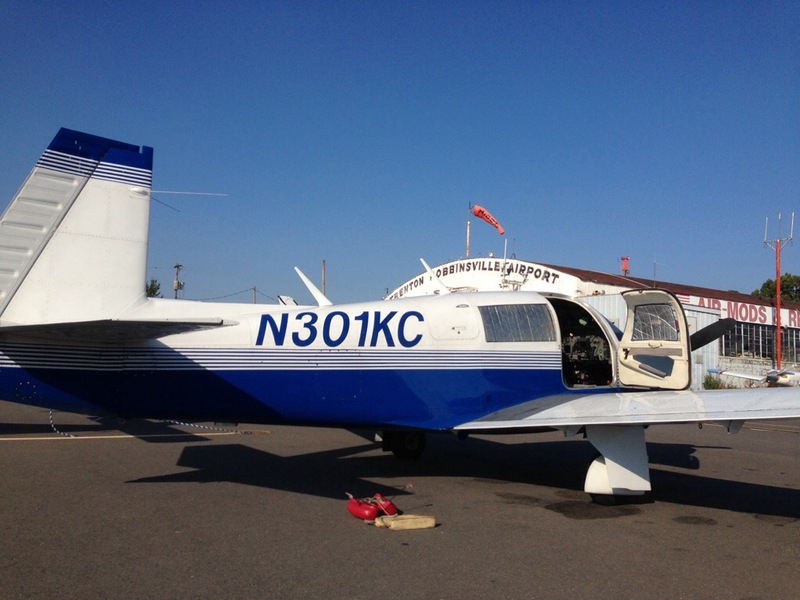 I finished the preflight, my instructor climbed in, and I fired up the engine. A few minutes later he was calling Raleigh Clearance-Delivery and copying our IFR clearance back to Trenton-Robbinsville. Three minutes later, after a run-up on the ramp area, we were cleared for takeoff. I poured on the coals and 20 seconds later we were in the air. We were cleared up to 7000 feet, and at altitude I could clearly make out the weather features we were racing home, with a sharp line of cirrus clouds curving to the north on our left. 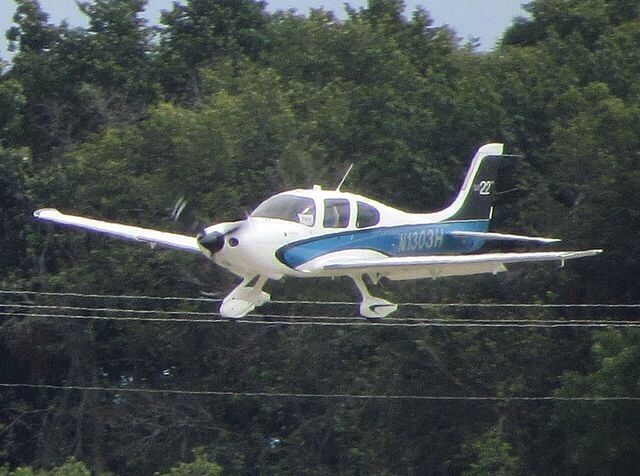 The flight really showed how great a Mooney can be. A very favorable tailwind gave us a max ground speed at 207 knots, while burning 10.9 gallons of fuel per hour. Under 90 minutes later I was going through the in-range descent checklist, and starting to bring back the power. About 30 miles out we listened to Trenton ATIS, and inexplicably they were reporting “winds calm.” I knew this had to be false, all of the forecasts were calling for gusty NW winds. We checked another nearby airport: winds 260 at 18 gusting to 28–that’s a little more like it. They were also reporting wind shear. I knew it was going to be a challenging approach. ATC cleared us to descend, and as soon as we were below 3000 feet we hit some continuous light chop. I kept pulling the power back, and at 2000 feet the turbulence increased to the moderate range. 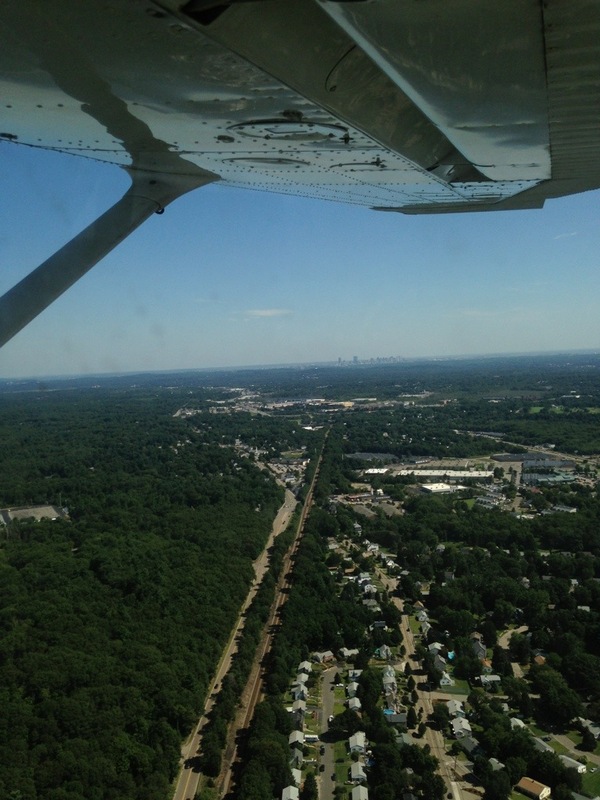 I entered the downwind leg of the pattern to Runway 29 at Robbinsville, and put the gear down. With all that extra drag the plane was really getting pushed around by the turbulence. I focused on correcting the large deviations, while relaxing on the stick enough to let the plane ride out most of the chop. I turned Base leg, did a GUMP check, took a breath and turned final. The turbulence increased as we got lower and slower. 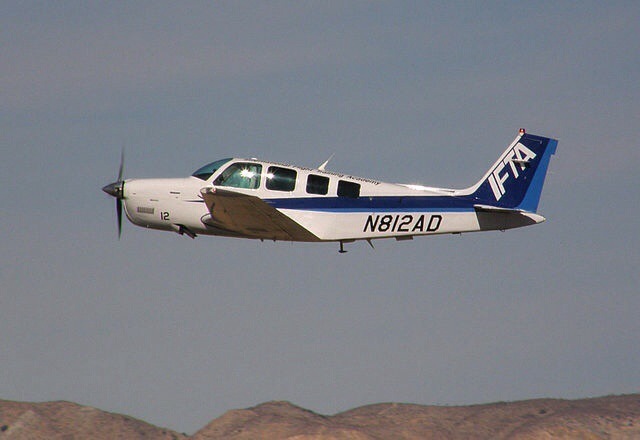 I elected to keep 10 kts extra speed on final, and didn’t extend the flaps all the way–typically a recipe to float a Mooney all the way down the runway, but not in this kind of wind. I wrestled the airplane down to ground effect, including through a moment of what I think was wind shear that made the plane feel like the bottom dropped out. A last gust pushed me off centerline but I kicked in right rudder and left aileron and eased the airplane on the ground. It really is true that you have to fly the airplane all the way to touchdown. With a big sigh of relief I pulled off the runway and taxied back to the parking spot, still covered with snow and ice. I realized I was sweating profusely, but it was a huge boost of confidence to land the airplane in those conditions, on the first try. It made me feel like I’ll be pretty good at this pilot thing. 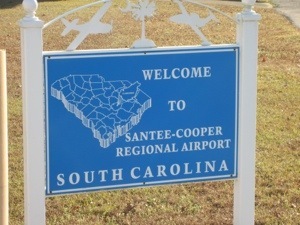 The speed raced past 60 knots, I pulled back on the stick and the airplane lifted off the icy, snow-covered runway to begin the flight from Trenton-Robbinsville N87 to Santee-Cooper KMNI in South Carolina. We were on an IFR flight plan with a route as follows: N87 CYN V16 RIC V157 LVL V155 CTF KMNI, filed at 4000 feet which gave us a near 25 knot headwind. While this made for a terrible groundspeed of about 125 knots, it was better than what we’d get had we climbed higher. The jet stream wasn’t our friend that day. As I mentioned before my CFI was along for the trip, and he graciously handled the radio calls while I flew the airplane and operated the GPS, a Garmin GNS480. 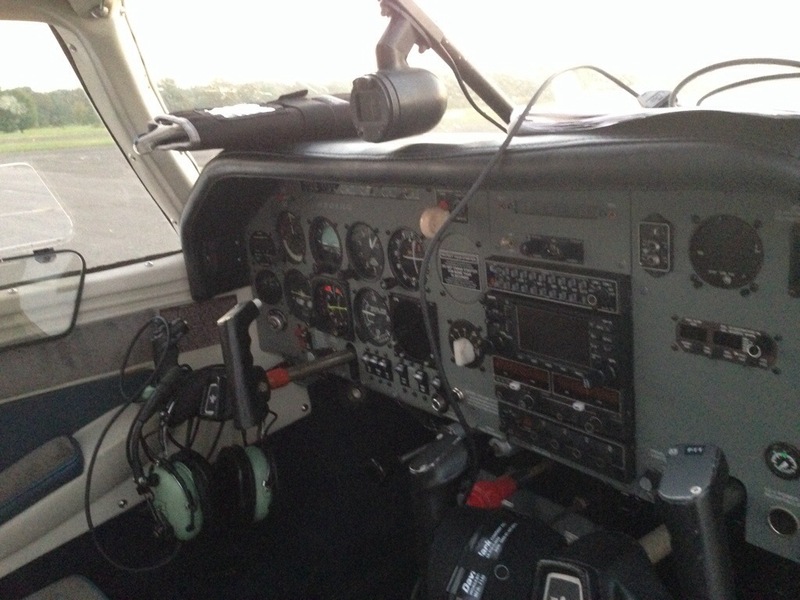 The instrument is a bit less intuitive at first than some other units (such as the more common Garmin 430), but after a few early hiccups it started to make sense and its benefits as a more powerful flight management system became clear. 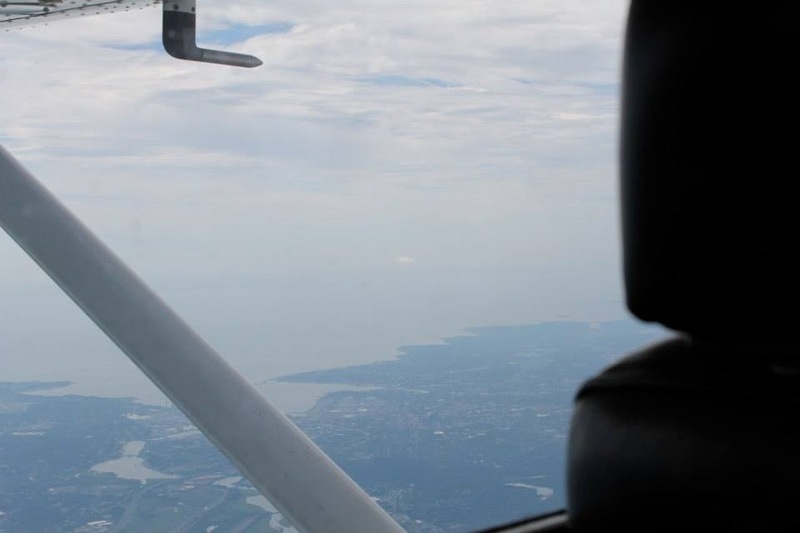 We settled in for the nearly 4 hour flight, stretching the range of the airplane close to its limits, assuming a personal minimum of landing with an hour of fuel in the tanks. I picked up this habit after reading Richard Collins’ The Next Hour, but it is a common-sense rule. The terrain below was cold and bleak, the rivers and even much of the expanse across Delaware Bay was frozen over after a few weeks of sub-freezing temps. But despite the headwind, there were virtually no bumps, and the 120 knot groundspeed in the Mooney burning 11 gallons/hr was much better than the 85 knots at the same fuel burn in a 172 or similar airplane. I was perfectly happy, watching the ground below show gradual signs of warming as we flew south over Delaware, Maryland, and Virginia. But I had this small voice in the back of my mind, constantly wondering if I had made the right decision to go. Fretting over whether we could get back that night. I tried to relax and focus on flying, but I couldn’t shake the feeling that the day wouldn’t work out as we planned. I thought about the factors involved: if my dad was going to be able to do a pre-buy inspection, it would have to be on a Sunday. We didn’t want to wait too long so as to delay buying the airplane, or waste the owner’s time waiting for us. The weather, while not perfect, looked better than it had for several weekends prior, and than it looked the following weekend. 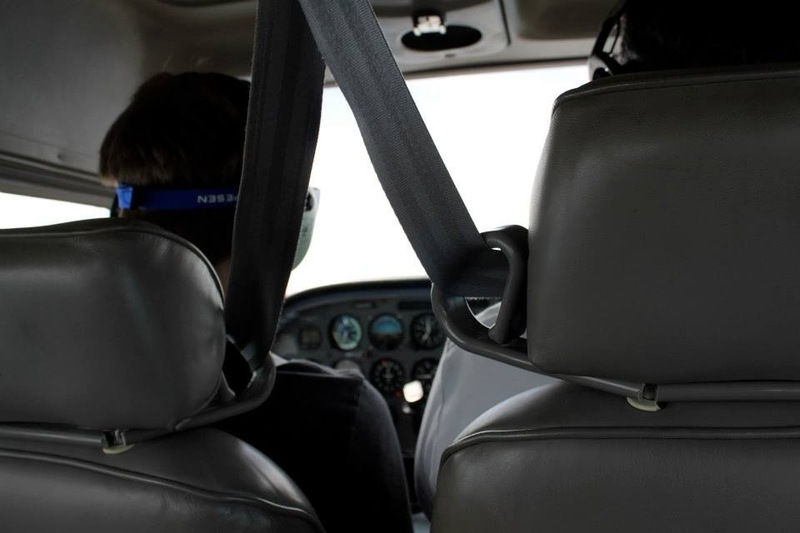 I was bringing my CFI along, so if I got stuck, it would be disruptive to more people than just myself. 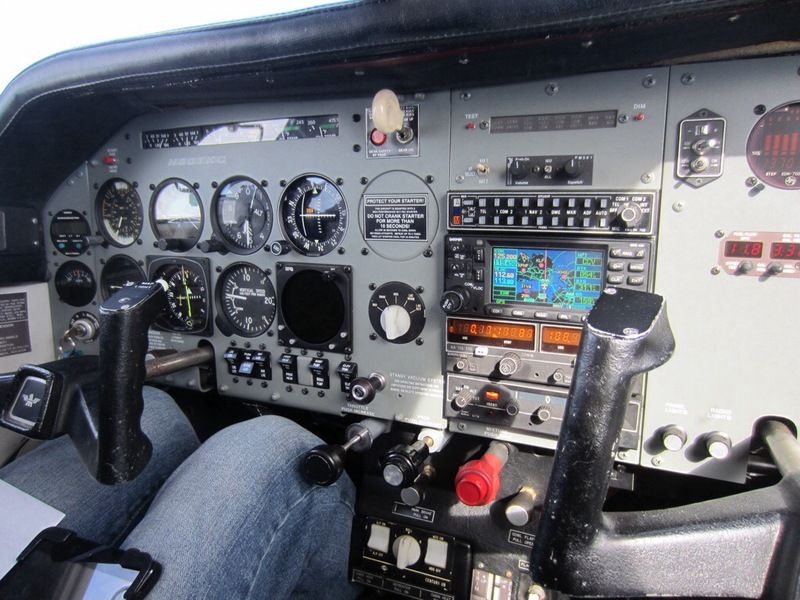 The weather was moving in faster than forecast, so we had only narrow windows of time to work with, and we were flying an unfamiliar airplane, which though it was loaded with all the features and equipment you could want, would be difficult to adjust to if we were caught in actual IMC. It’s funny how many things go into flying an airplane besides actually flying. It’s at least 50% mental. 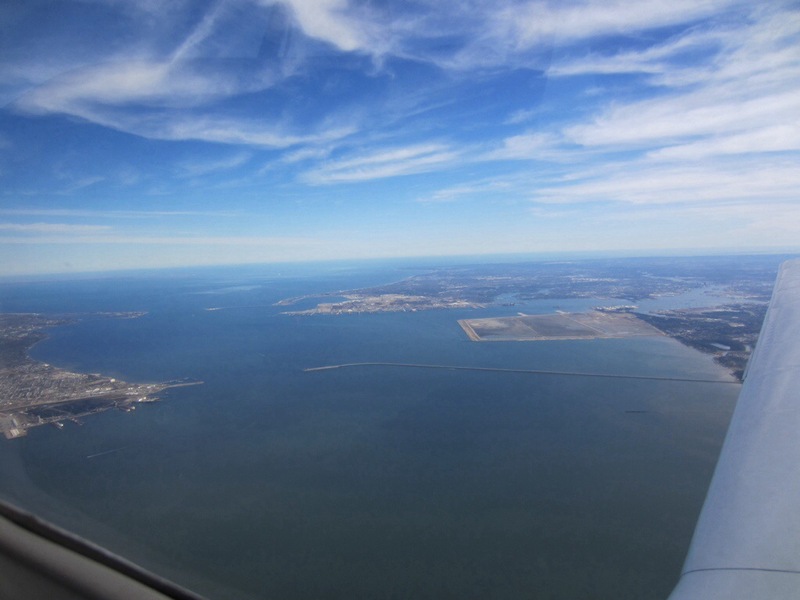 We sped southward at 4000 feet, then 5000 feet, talking to a long list of air traffic controllers–some of them the same ones as I had spoken to on my VFR flight at the end of December. Finally we approached central South Carolina, and the large Lake Marion, appeared on the horizon. We descended and cancelled IFR when we had the field in sight, setting up for a pattern approach to runway 20 (I had landed on runway 02 the month before, runway 20 ends in a drop off directly into the lake). Though the winds were strong, I made an acceptable landing and taxied up to the hangar, happy to get out and stretch (and use the restroom!). To my great surprise, my Grandfather was standing there waiting with my Dad. He lives in Charleston, about an hour away, but I hadn’t expected to see him, and he gave me a hug and a warm welcome. My Mom was also there, embracing me tightly, excited as always to see me, as was I to see her. Even my Dad’s sister was there, also from out of town, so it was a nice impromptu family reunion. We pulled the airplane into the hangar and Dad set to work inspecting the airplane. 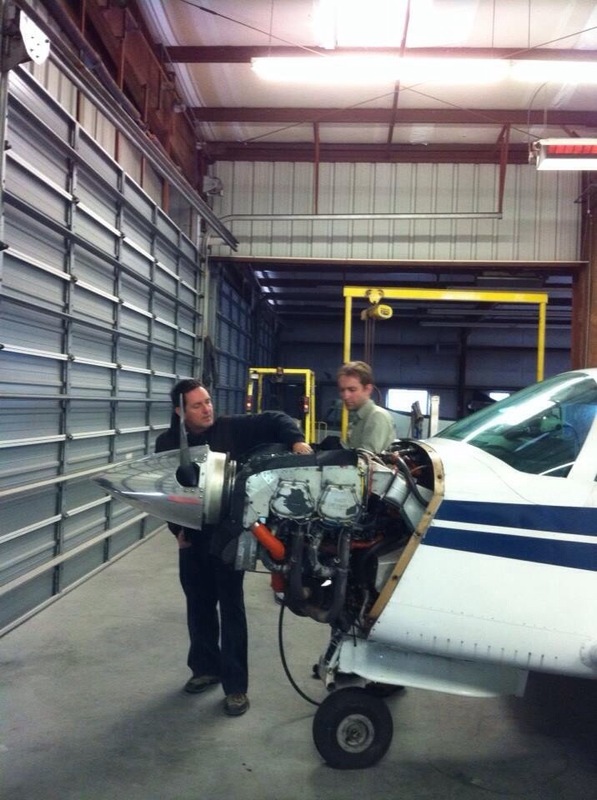 First he pulled off the engine cowling while I opened the tail access panels. He then did an engine cylinder compression check. I had a bite to eat from the brunch mom had prepared, famished from almost four hours of flying and a small breakfast at 5am that morning. He frowned as he ran his index finger along the seam of the engine crankcase and along the edge of one of the cylinders, noticing a small but worrisome amount of oil. The news didn’t get better, with the compressions from cylinder 4 on the low side and cylinder 3 was on the borderline of needing a replacement. He looked at me and grimaced, silently. He then went over the rest of the airplane with the precision and attention to detail that I knew would make it worthwhile to fly all the way down. He’s simply the best at this kind of thing. Whatever cost it took, or inconvenience, was worth it to have his opinion. “That’s exactly the kind of advice I flew down here for,” I said. “And the paint is pretty ragged,” he went on. Neither of us do thank-yous or goodbyes very well. I was sad to leave so quickly, especially to leave and know I wasn’t going home that night. A feeling of homesickness started to creep in on me. “Anytime, I hope you bring more planes down here for me to look at,” he replied, walking back behind the wing and clear of the plane. I fired up the engine and we were in the air five minutes later, headed north and talking to Shaw Approach for flight following. It was beautiful to fly in the late afternoon as the sun sank to the horizon. The approach to KRDU, my first time landing a Mooney at a towered airport, was fun and exciting, and the speed brakes helped immensely to keep the airspeed in check. The landing was smooth on the long runway 23L, and within a few minutes we were taxiing up to Landmark Aviation on a ramp full of jets. Everyone we interacted with was extremely pleasant, treating us like we belonged, and explaining the ramp fees when we asked. We decided to add 5 gallons of fuel to the plane, and they waived the overnight fee (total without fuel would have been around $40). The fuel was expensive ($7+/gal), but not unexpected, and the convenience of landing at a major airport and walk from plane to car in about 30 seconds can’t be overstated. 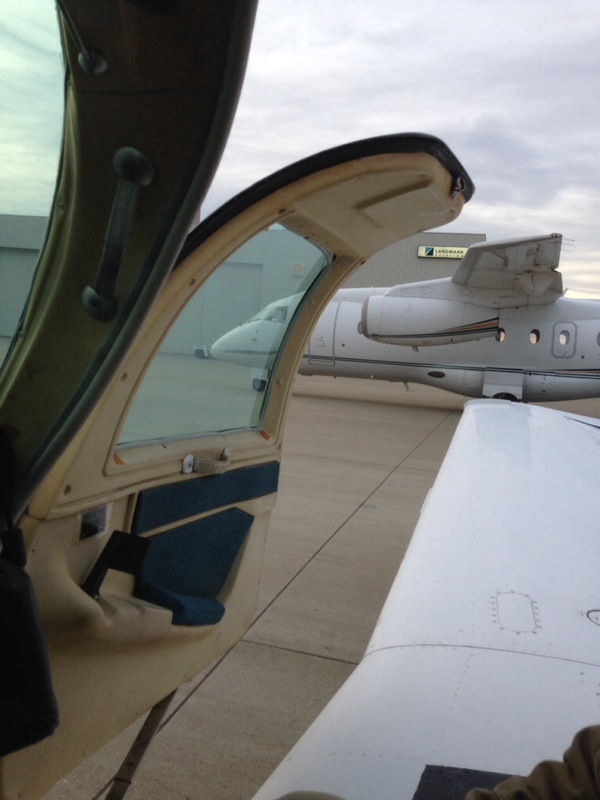 It is simply amazing to fly yourself from place to place, especially when you get to pull up on a ramp full of jets.